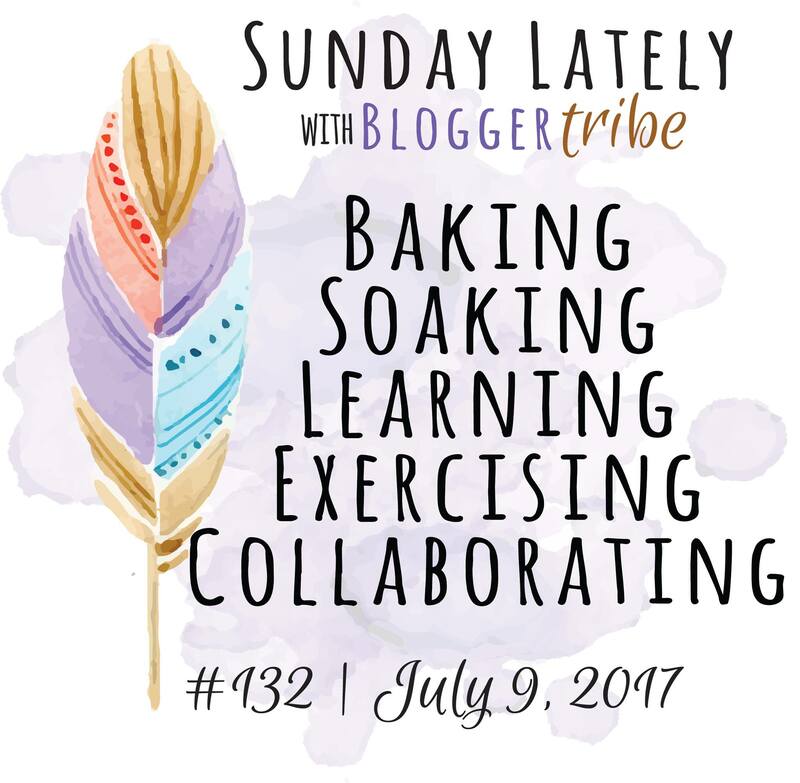 Sunday Lately is a weekly linkup hosted by the Blogger Tribe, which is fearlessly led by Angelica (Gardening in High Heels) and Katy (Wild and Wanderful). We e-hangout every Sunday, sharing a small glimpse into the past week of life in our worlds. In this heat! Don’t get me wrong, I love Summer – it is my favorite season. There are times when I get in my car at the end of the day, and I am not thrilled at the internal temperature. Up the sun! See above! 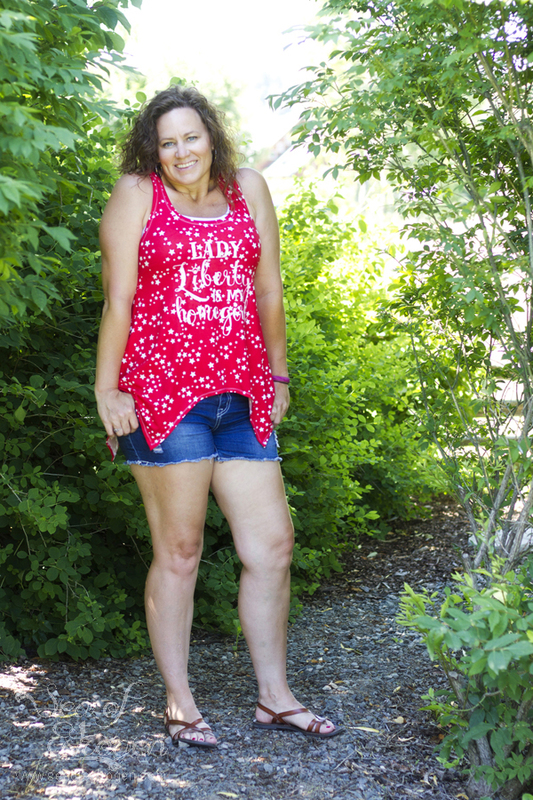 😀 I actually made three Patterns For Pirates Siren Swim Tops and three Peek-A-Boo Bahama Mama Boy Shorts, so I am soaking up as many rays as I can! 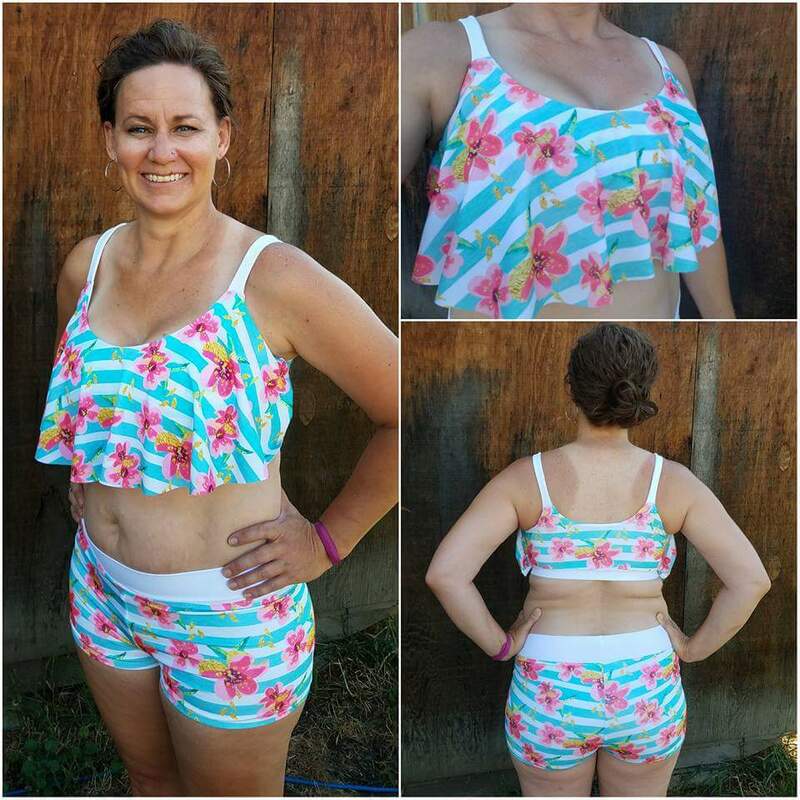 I am waiting for the rest of my white swim fabric (for lining) to get here, and then I will be making a pair of Peek-A-Boo Bahama Mama Bikini Bottoms to match the blue & white striped floral Siren, as well. I have only made one item out of swimwear before, and while it turned out okay, it definitely wasn’t up to “public wearing” standards. 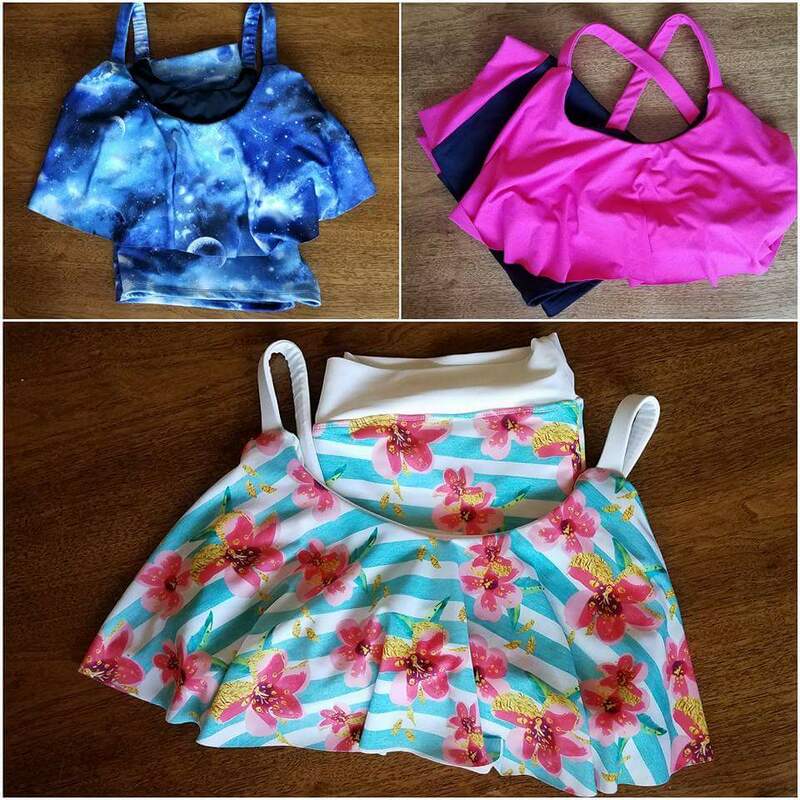 I have been working hard, learning how to sew swim because custom-made swimsuits are the bomb! I am waiting for my insurance company to approve more physical therapy for my knee reconstruction. While I wait for more appointments, I’m trying to do the exercises on my own. The easiest ones are squats, and I have been trying to remember to do the range of motion exercises whenever I have a chance. Doing it on my own is tedious, and I have to admit that I hate it. If I had a bike, I would probably like it a lot more. 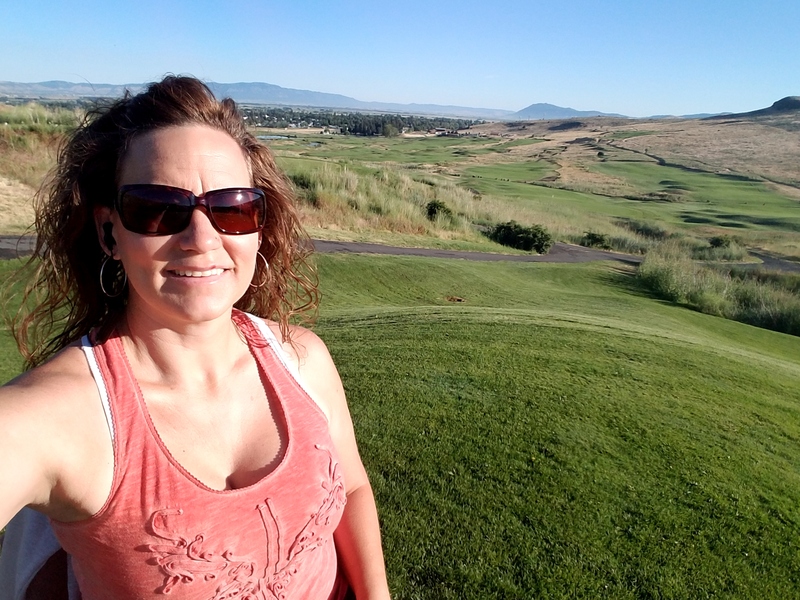 The past few weeks have been really busy collaborating while I participated in several blog tours. 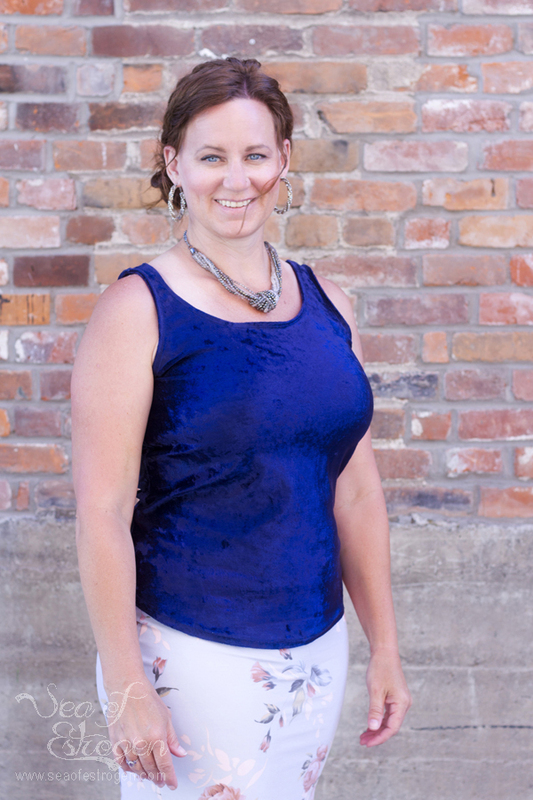 I worked with Laela Jeyne Patterns for their Summer Collection Blog Tour release, our very own Katy for the Sew Americana Blog Tour, and the Sewing by Ti Dress Up This Town Blog Tour. Now I am working on a microwave bowl cozy tutorial for a Christmas in July Blog Tour. I love collaborating because I love meeting new people, and I feel like I always learn something.